Former Chairman of the Securities and Exchange Commission (SEC) Nalaka Godahewa, SEC former Deputy Director General Dhammika Manjira Perera and Sports Director at Tharunyata Hetak Organisation Ronnie Ibrahim held in remanded custody for allegedly misappropriating Rs. 5 million belonging to the Securities Exchange Commission were yesterday ordered to be further remanded till January 13 by Colombo Fort Magistrate. 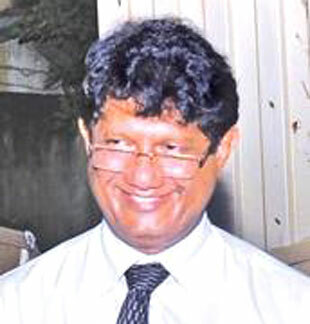 When the three suspects were produced before Magistrate Priyantha Liyanage, the FCID informed Court that the Attorney General had already filed indictments against the suspects in the Colombo High Court. On a previous occasion, the Magistrate turned down bail applications submitted by the suspects. The Magistrate observed that the prosecutors were possessing sufficient material to proceed with a case against the suspects. The Magistrate further observed that the suspects have taken a decision to deposit money in a bank account belonging to the Ceylon Premium Sports Limited in order to promote rugby in contrary to a decision of the SEC. The FCID submitted to Court that Tharunyata Hetak (A tomorrow for youth), an organisation headed by Parliamentarian Namal Rajapaksa, had made a request from the SEC that Rs. 5 million as a sponsor be allocated for a youth awareness programme on the stock market. The FCID said that according to investigations, the money said to be allocated for an awareness programme among rural youth on investing in the stock market, was transferred to a bank account belonging to Ceylon Premium Sports Limited as payment for an American dance group. The prosecutors alleged that this was an act in contravention to the objectives of the SEC Act. They further alleged that no such awareness programme had been organised by the Tharunyata Hetak Organisation utilising the money in question.